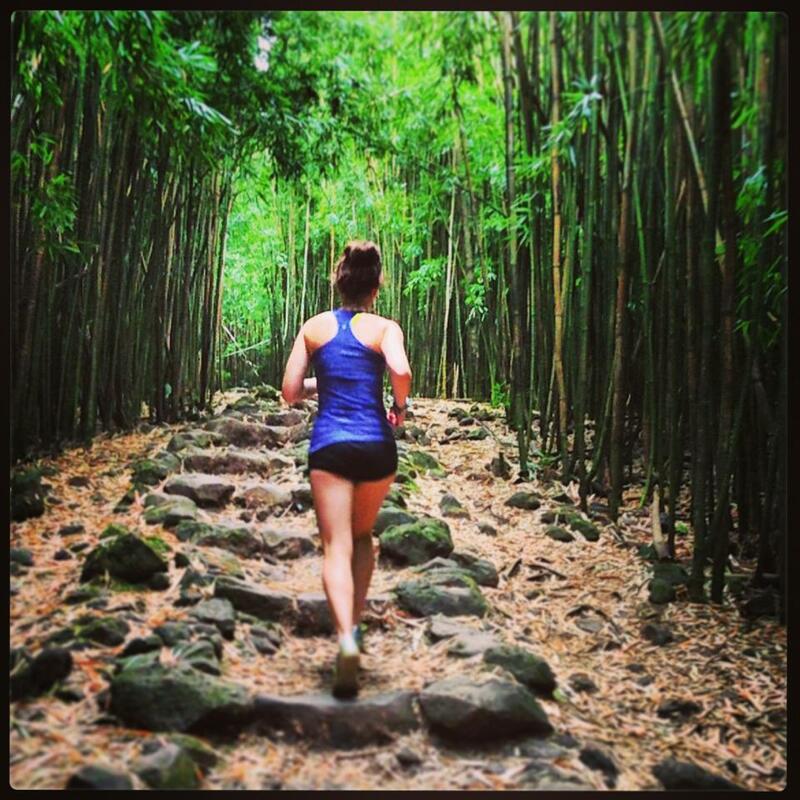 Running in the bamboo forest. So I didn’t run any Vancouver Island trails last weekend, because I was too busy VACATIONING IN MAUI! Yes, it was amazing and wonderful and we had a blast. I didn’t do much running, or any kind of working out for that matter (except for lifting five bottles worth of wine to my lips in a large wine glass… does that count? ), but we did go for a little hike/run on the incredibly scenic Pipiwai Trail on Maui’s east coast. I think you’d be hard pressed to find another trail in existence that gives you so much dramatic scenery in such a short distance. The Pipiwai Trail, located along the road to Hana in Haleakala National Park, is only 3 kilometres from the trail head to the breathtaking Waimoku Falls, which cascades down a sheer rock face from 400 feet above you at the end of the trail. We ended up hiking on the way there (obviously, so much to see and side trails to explore, plus plenty of Instagram moments!) and running back. The hike in took about an hour, and the run back was only 25 minutes. Besides several stunning waterfalls, other trail highlights include an infinity pool, deep water-filled caverns, caves, Hawaiian jungle, a massive banyan tree, a kilometre of bamboo forest, stunning natural pools and a turquoise-blue ocean crashing into black lava cliffs.